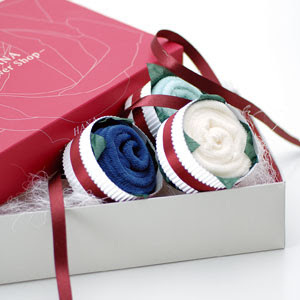 A Rinkya Blog: A Towel Bouquet From Japan! Tired of boring flower bouquets as a gift? Why not give something useful that can be reused? These rose scented hand towels can be given as a bouquet. They make the perfect housewarming or host gift. They are unique, useful and they smell good too! 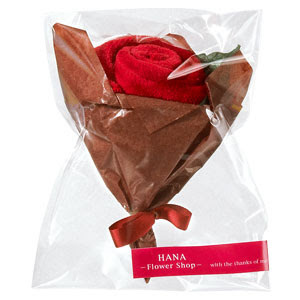 Only 735 yen ($7.00) for two from the Hana Flower Company. "Hana" is flower in Japanese. Hm, this is cute :) And what happens with the rose scent after the towel has been washed?..